Whether you’re an up-at-dawn runner, a casual hiker, or an athleisure fashionista, sporting goods have become an integral part of our hobbies and increasingly, our day-to-day routines. Bolstered by a rising global focus on health and wellness, the sporting goods industry is growing fast. We created The Pocket Guide to Sporting Goods Marketing to help you get your advertising plans in shape. 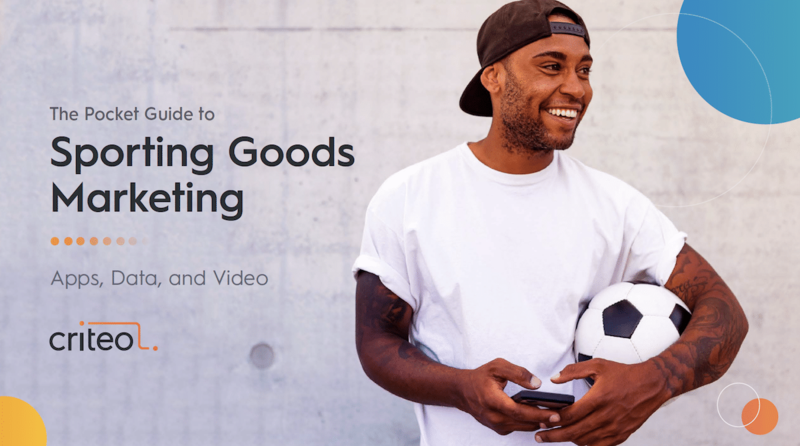 This interactive quick read covers the current landscape, what’s trending, and strategic tips on how to win the sporting goods marketing game. According to Macquarie research, the global sporting goods market, valued at roughly $318 billion by the NPD Group in 2014, has experienced annual sales increases of roughly 4.3% between 2005 and 2014 and is on track to grow by up to 5.6% until 2020. Ibis predicts that from now to 2023, industry revenue will rise steadily as growing interest in sports propels demand for athletic apparel, equipment, and footwear. 1. Win the game with apps. Our Global Commerce Review shows that for retailers who actively promote their shopping apps, mobile transactions represent 65% of all transactions and the share of in-app transactions across the globe has grown 30% YoY. Conversion rates on apps are also 3-6X higher than on mobile web. Beyond the transactional power of an app, brands and retailers gain valuable information that can be used in a variety of ways, from localized inventory management to in-store assistance and personalized fitness advice. To maximize the potential of your app, consider app retargeting to bring lapsed users back, as well as to maintain active usage. Continuously learning from 1.4 billion shoppers a month, only Criteo App Retargeting entices each user with dynamic mobile ads from your entire product catalog — all optimized in real time for individual purchase intent and browsing context. 2. Find players that can deliver the level of personalization you need. If your marketing campaigns can’t support advanced dynamic personalization, the value of your data is lost. With Criteo Audience Match, you can use CRM data to identify and reach your audiences online with dynamic ads. Criteo Audience Match works with Criteo Shopper Graph – the world’s largest open shopper data set, to deliver market-leading match rates. And it’s powered by the Criteo Engine, which uses advanced machine learning to analyze insights on over 1.4 billion active monthly shoppers and more than $615 billion eCommerce transactions every year. DCO+ then tailors each ad creative, choosing colors, layout, and CTAs that are personalized for each shopper. Criteo Dynamic Retargeting is also an effective tool to re-engage shoppers who’ve left your website. The highly personalized ads created by helps sporting goods retailers increase conversions by tackling abandoned carts, improving shopper time spent on site, and conversion rates across devices. In fact, average sales uplift with Criteo is 142% across devices. 3. Take advantage of the power of video. Cisco forecasts that in two years’ time, more than 80% of internet traffic will be video-based. And our Gen Z Report shows that Gen Z streams 23 hours of video content per week—more than any other generation. No other medium shows the energy and excitement of sports and the outdoors like video, making it one of the most important marketing mediums for this category in the years ahead. Along with creating original video content, video retargeting should also be a part of every brand and retailer’s digital marketing arsenal. 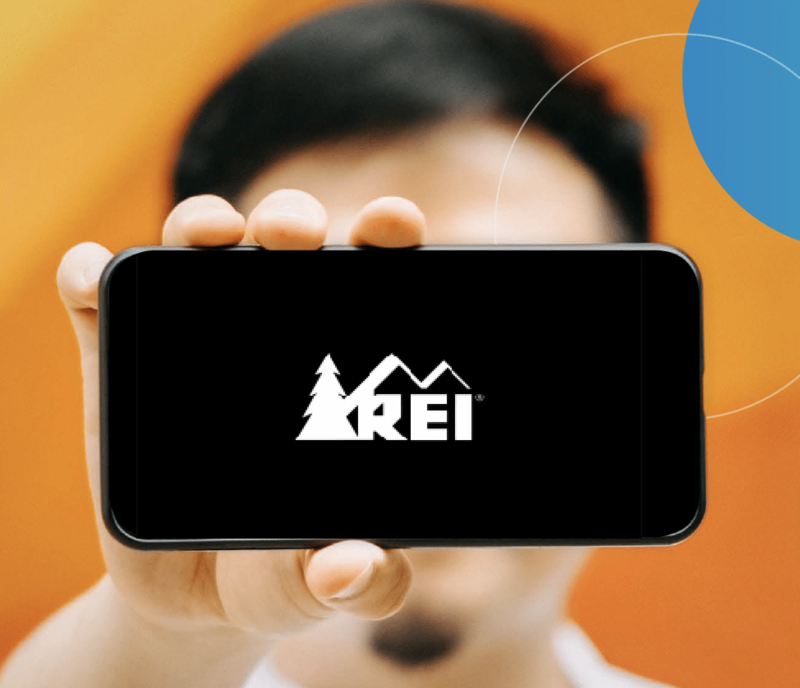 With Criteo Dynamic Retargeting you can generate 20-second video ads featuring a branded intro and outro, relevant product recommendations from your live catalog, and an accompanying music track – all delivered in real-time and at huge scale. And the MVP award goes to… data. 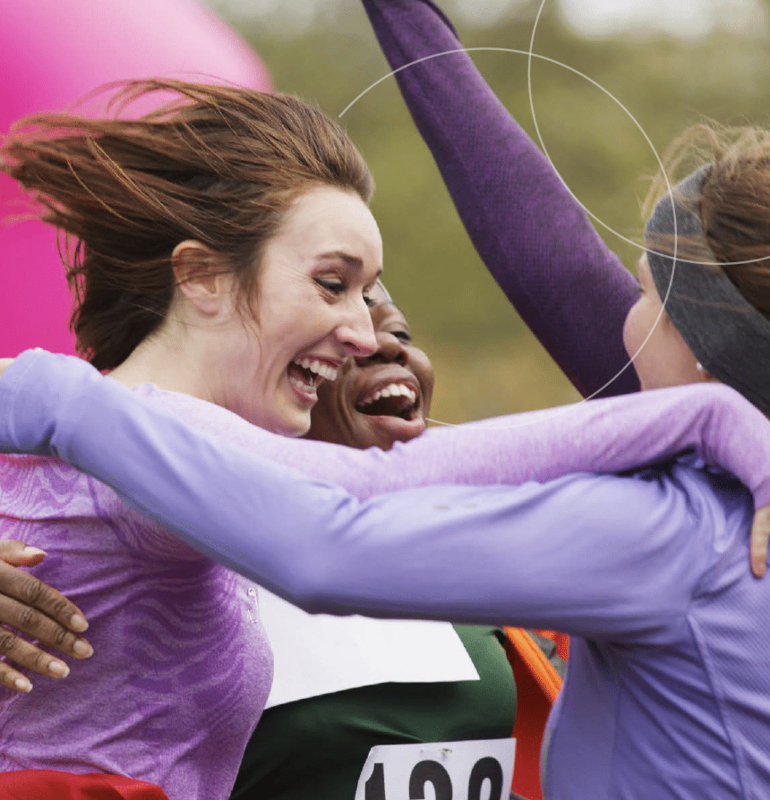 What’s the secret to delivering the best customer experience possible? Whether it’s personalized shoe recommendations or a special offer on gear based on the latest stats in your fitness app, the brand and retailer who knows their athletes best — by having access to the most data — will see the best performance. To learn more, download our Pocket Guide to Sporting Goods Marketing today!